Author: Jaquetta Stevens aka Ms. Opinionated. One of the most powerful men in the entertainment industry has taking the time to share his great wisdom of becoming successful. Mr. Terry Greene, born and raised in West Palm Beach, Florida known as the CEO of PG Entertainment Group/Fa7ith Urban Music, has shared his great success in spreading the word of GOD in his ministry. 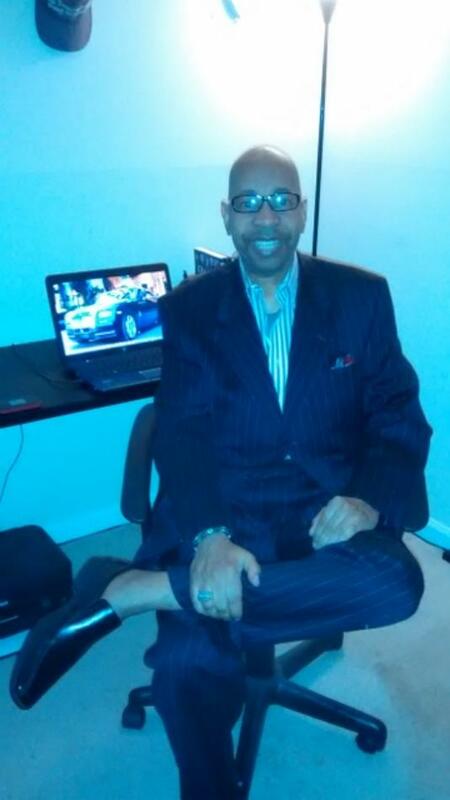 Mr. Greene is also known as a singer, songwriter, producer, musician, music promoter, TV/ Radio host, and Author. The company provides music and healing ministry to help bring in people that are not saved to the Lord Jesus Christ, and to inspire those who are already saved to spread the word of GOD. This passion that burns deep within Mr. Greene is what allows him to continue his work that he has done for many years, to share a wonderful experience with others who can find peace and joy in Jesus Christ. Mr. Greene was raised by his biological father and mother, and it is no secret of how Mr. Greene became such a business mogul being that his father owned a candy store, 7-eleven store, and two nightclubs. His mother however pursued her career in education later to become one of the best educators in their local city. Although this family had such a great background when it came to business and education, Mr. Greene found out at the early age of five years old that his passion was to be a singer. When it comes to contributing to the business, Mr. Greene & his lovely Daughter sub a vast majority of his work out to separate contractors. His music and his powerful message have been promoted worldwide, & he continues to push out this powerful message every chance he gets. A life is more important than fame and fortune and he plans to work harder and earn his wages in hope of being with GOD forever in heaven. Although he has gained much success, he has made it known that to receive that you must be willing to sacrifice. For most, this is extremely hard to do when trying to keep the bills paid and support a family. Mr. Greene had other plans he left his home with $100 in his pocket, and traveled to Los Angeles, California. Despite his parents, family, and friends not being supportive, he remained content with his decision to leave for greater success. He did struggle for a time as he moved from place to place, living with different people who he met along the way, and most nights, sleeping on their couches and their floors. Although he went through such a time, he still managed to reach great heights in success thanks to GOD the father in heaven. In an interview with Ms. Opinionated, Mr. Greene shared some information about his career regarding let downs, progress of the company, and special promotions! This is what he had to say! Have you had any let downs during your journey in the business? Mr. Greene says: “Yes, I was signed to two major record labels in secular music, which didn’t work out for me. I am now working in the gospel music industry”. Have you lost friends along the way of your career? Mr. Greene says: “Yes, people who I thought were my friends I found out later, that the more successful I became, the more their envious nature became very clear to me”. Are you currently looking for donations, promotional help, selling of music, etc? If so Explain. Mr. Greene says: “We are always open for donations, promotional help, as well as selling the music that we produce and distribute”. Mr. Greene says: “37 Years in secular and gospel total, and we are still going strong with many awards and nominations to date”. “I would like to encourage everyone that is pursuing any career in life, no matter what you want to do, whether it is to be an Actor, Actress, Model, Artist, Musician, Producer, or a Record Company Exec, to never give up. Keep pushing forward, and no matter what anyone else says, never give up on your dreams”.